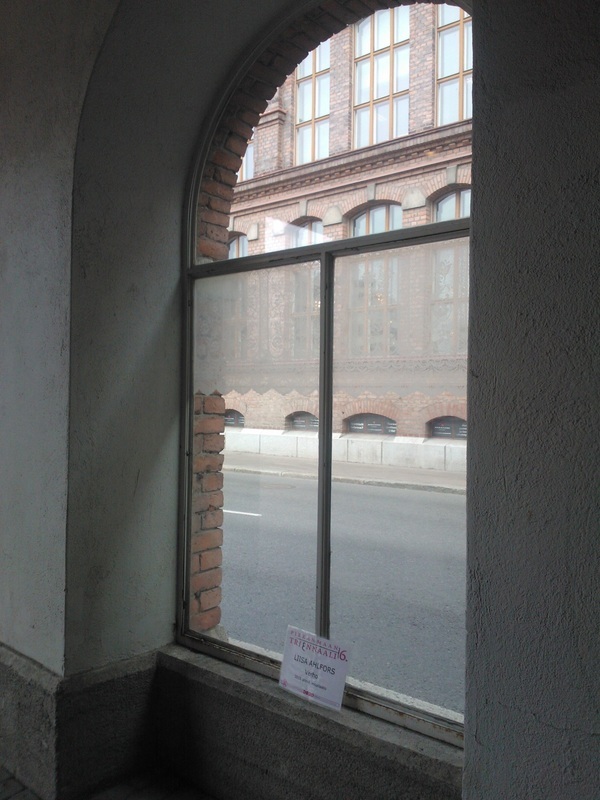 ﻿﻿Verho﻿ on hienovarainen interventio kaupunkitilassa, joka on toteutettu arkkitehtooniseen elementtiin, yhteen Satakunnankadun kävelytunnelin ikkunoista. 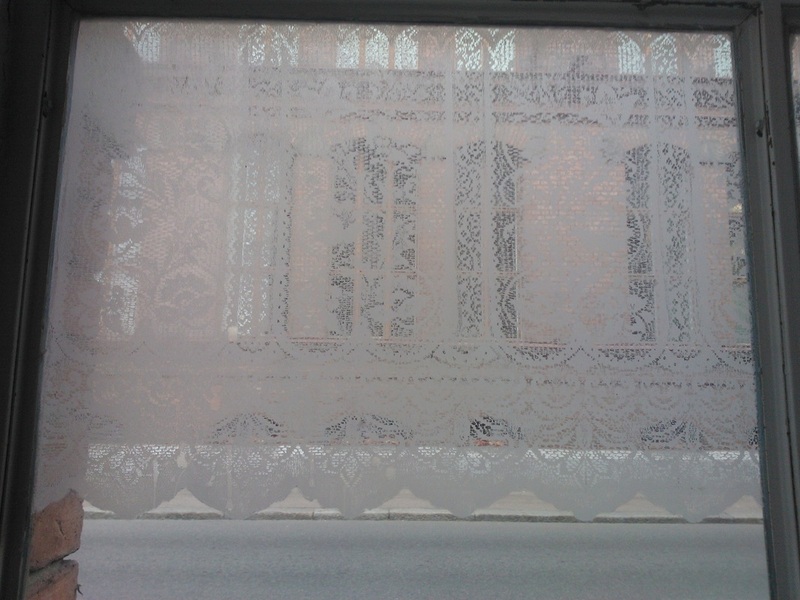 Curtain is a subtle intervention on an architectural feature of a window in urban space. Made with sour milk by using a lace curtain as a stencil, the work reflects the dialogue between the private and public in the (home)cityscape. 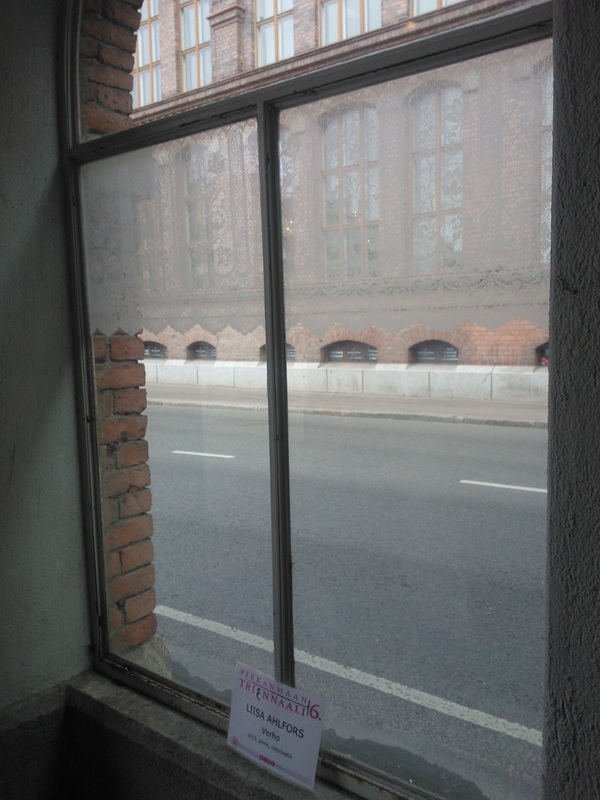 The site being on one of the windows of Satakunnankatu’s pedestrian tunnel windows, the work references also to the history of the area which used to be the location of the Finlayson factory; a place where the community of workers not only worked, but also lived, a place where the private and public merged in.